I will be completely honest with you guys, I had no idea what Diastasis Recti Abdominis (DRA) was when I was pregnant. No one had ever even said the words to me and I had no idea what to even look for or how to keep it from getting worse! There are so many things I know now that I wish I had known then but the information was not readily available. So I am here to explain what it is, what you can do about it and how to prevent it from getting worse! 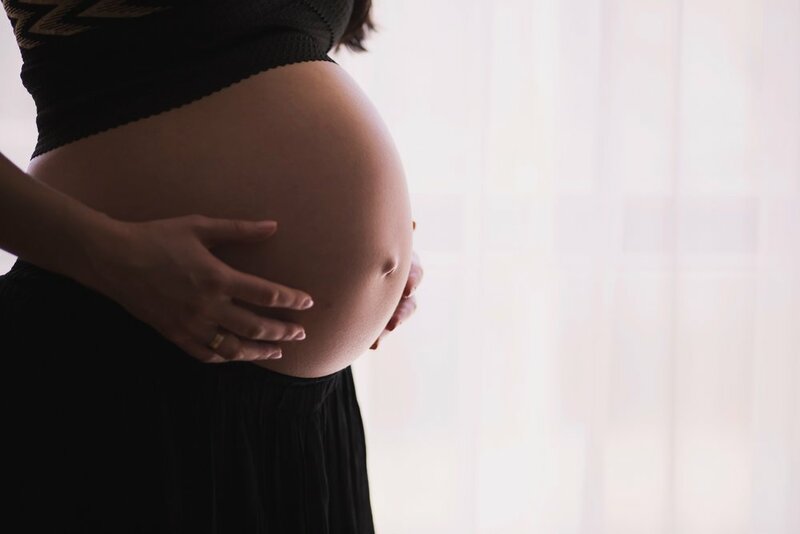 DRA is the separation of the abdominals caused by the Linea Alba (connective tissue between the Rectus Abdominis) thinning and stretching to accommodate the growing uterus. It is measured in fingers of separation and while one of the goals is to narrow this separation, research has shown that it is even more important to make sure you can regain tension in the tissue beneath. This is what I focus on with my clients in the programs I design. Do all moms get it? DRA affects an upwards of 66% of women however there has been a recent study that indicated 100% of women get DRA in pregnancy. So basically what I am saying is that it is completely normal and while it is important to know about it and what you can do it is also not something to fear either. The best thing to do is get your core functioning correctly before, during and after pregnancy and optimizing the first 8 weeks postpartum. If you are beyond the 8 weeks (can be well beyond) there is still plenty that you can do. I highly recommend seeing a pelvic floor physiotherapist or someone who is trained in assessing and treating DRA in order to get an in depth assessment. However you can do a self check on your own. Spontaneous healing of the abdominal wall occurs within the first 8 weeks postpartum. After 8 weeks and beyond, if Diastasis is present, intervention is necessary to help heal and correct the issue. Seeing a professional such as a PFPT or a person certified to deal with Diastasis is ideal however there are other things you can do. Proper postural alignment and Core Breath (see video below) can help as well as avoiding activities that create intra abdominal pressure. Doing things such as crunches, push ups (on floor), planks (on floor), even sitting directly up from laying down (not rolling onto side) can actually make Diastasis worse and should be avoided. Once you have received the all clear from a professional that your DRA has healed you can begin slowly returning to your pre baby activities!